What Do the Magna Carta, a Bald Eagle & Paradise Park Have in Common? Read about it in a DailyUV article. This link will take you to a recent article in the DailyUV on activities undertaken by the Vermont Youth Conservation Corps. This link will take you to a DailyUV article on what the WMA is. • Other fun activities for kids! 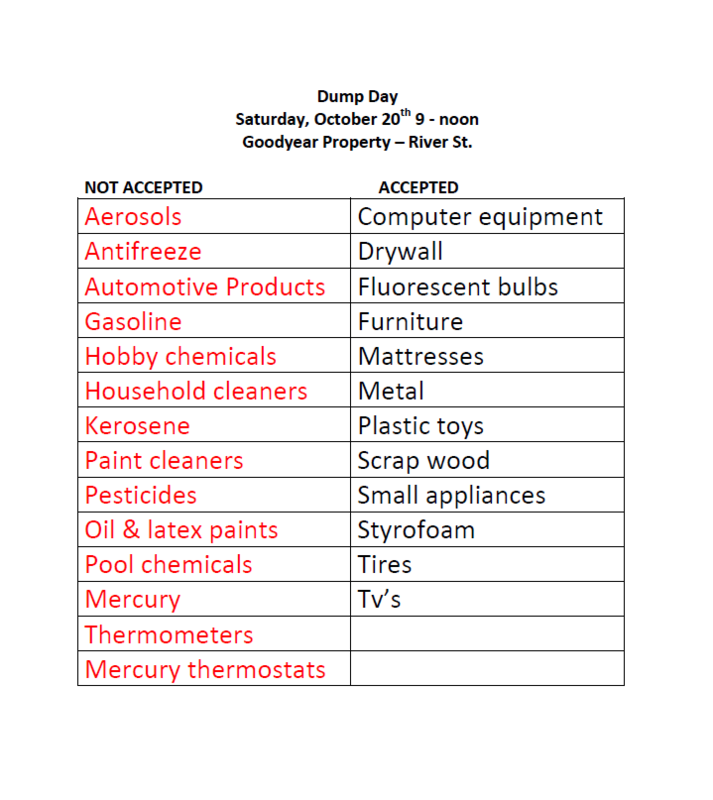 Our next Dump Day is Saturday October 20th 9am to noon. The rules will be basically the same as in the past (Windsor residents only, proof of residency will be required) but as a heads up we will be rejecting commercial loads, and construction loads. If you have done a small remodel project and have a normal pick-up bed of material that’s ok but a big trailer full of debris will be rejected. Please contract with a hauler for your larger projects. We do intend for this to be an ongoing service, but it will be limited to Windsor residents looking to get rid of reasonable amounts of material from cleaning out garages, basements, small projects, etc. The following is a guide to what is accepted.